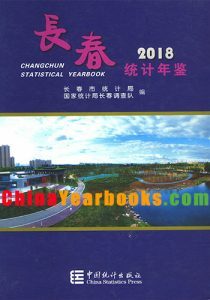 Ⅰ.Changchun statistical yearbook—2018 is an annualstatistical publication,which comprehensively reflects theconditions of economic and social development of changchunin 2017.We select various aspects of statistical data oneconomic and social development in 2017 and main statisticaldata in important years of changchun.It is an economicreference book for recognizing and researching on economicand social development of changchun guiding economic workand making decisions. Ⅱ.This book covers the following four parts 1.Specialreports 2.Economy of counties(cities) and districts anddeveloping area 3.Statistical data 4.Explanatory notes on mainstatistical indicators.Statistical data contains 18 lists of articles.That is(1)General survey(2)Population,(3)Employment andwages,(4)Investment in fixed assets,(5)Energy consumptionand inventory,(6)Government finance,(7)Commodity price,(8)People’s livehood,(9)City construction,(10)Agriculture,(11)Industry,(12)Transportation,post and telecommunicationsservices,(13)Construction,(14)Wholesale,retail trade andhotels catering,(15)Foreign trade and tourism,(16)Finance andinsurance,(17)Education,science and technology,culture(18)Sports,health care and others. Ⅲ.The major data sources of this publication areobtained from annual statistical reports,and some fromsample survey. Ⅳ.Special reports and special topics are obtained fromstatistical departments and relative departments. Ⅴ.The quantity of value indicators and compositionused in this book are at current price except notes have madegrowth rate is calculated by constant price. Ⅵ.The units of measurement used in this book areinternationally standard measurement units. 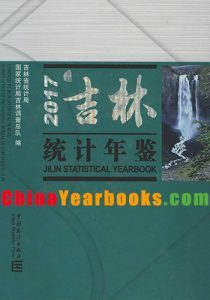 Jilin statistical yearbook 2017 is annual statistics publication, which cover very comprehensive data series for 2016 and some selected data series for historically important years in whole province, cities (pretecture) and counties and therefore, reflects various aspects of social and economic development. arated into 19 parts, ie. l.Synthesis; 2.National Economic Accounting; 3.Population; 4.Employment and wage; 5.Investment in Fixed Assets; 6.Foreign Economy trade and international Tourism; 7.Production and Consumption of Energy;8.Public Finance, Banking and Insurance; 9.Price Indices; 10.People’s Livelihood; 11. Urban public utilities and Environment; 12.Agriculture; 13.Industry; 14.Construction; 15.Transportation and postal; 16.Wholesale, Retail trade and Catering services; 17.Education, Technology and Culture; 18.Sports, Public Health and others; 19. General survey of city (State) and county (City). In the appendices listed: 1. Main indicators of National economy of three province in the Northeast Area( 2016); 2.The Companies “A Table”; 3. Explanatory notes for Main statistical indicators. Ⅲ.The units of measurement used in this book are internationally standard measurement units. In year-book some data total numbers or relative number because of units choosen differential Causing generating calculation error, no mechanical adjust. The value indicators used in this book are at current price except notes have made and growth rate is calculated by constant price. Explanatory notes for notations used in this book: “blank” indicated that the index data not available or no dale. “# “of which: major item. VII. The publication and editor of yearbook got strong support of the department of province, total cities, prefectures, counties (district) government and some enterprises and related institutions, We make sincerely appreciation! 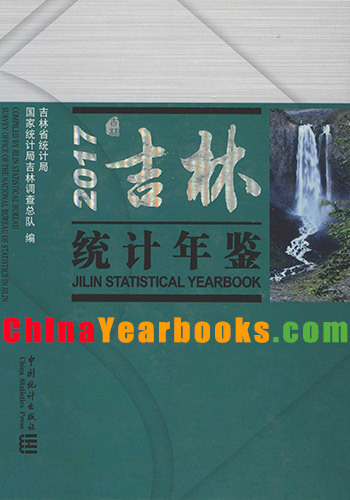 I. Jilin statisticalyearbook 2016 is annual statistics publication,which cover very comprehensive data series for 2015 and some selected data series for historicallyimportant years in whole province, cities (pretecture)and counties and therefore, reflects various aspects of social and economicdevelopment. II. The book is organized into twoparts: Special reports and Statistics data. The statistics data is separatedinto 19 parts, ie. l.Synthesis;2.National Economic Accounting; 3.Population; 4.Employment and wage;5.Investment in Fixed Assets; 6.Foreign Economy trade and internationalTourism; 7.Production and Consumption of Energy;8.PublicFinance, Banking and Insurance; 9.Price Indices; 10.People’s Livelihood; 11. Urban publicutilities and Environment; 12.Agriculture; 13.Industry; 14.Construction; 15.Transportationand postal; 16.Wholesale, Retailtrade and Catering services; 17.Education, Technology and Culture; 18.Sports, Public Health and others; 19. Generalsurvey of city (State) and county (City). In the appendices listed: 1. Mainindicators of National economy of three province in the Northeast Area( 2015);2.The Companies “A Table”; 3. Expla natory notes for Main statisticalindicators. Ⅲ.The units of measurementused in this book are internationally standard measurement units. IV. In year-book some data totalnumbers or relative number because of units choosendifferential Causing generating calculation error, no mechanical adjust. V. The value indicators used in thisbook are at current price except notes have made and growth rate is calculatedby constant price. VI. Explanatory notes for notationsused in this book: “blank” indicated that the index data notavailable or no dale. “#”of which: major item. VII.The publication and editor of yearbook got strong support of the department ofprovince, total cities, prefectures, counties (district) government and someenterprises and related institutions, We makesincerely appreciation! I. Jilin statistical yearbook 2014 is annual statistics publication, which cover very comprehensive data series for 2013 and some selected data series for historically important years in whole province, cities (pretecture) and counties and therefore, reflects various aspects of social and economic development. II. The book is organized into two parts: Special reports and Statistics data. The statistics data is separated into 19 parts, ie. l.Synthesis; 2.National Economic Accounting; 3.Population; 4.Employment and wage; 5.Investment in Fixed Assets; 6.Foreign Economy trade and international Tourism; 7.Production and Consumption of Energy;8.Public Finance, Banking and Insurance; 9.Price Indices; 10.People’s Livelihood; 11. Urban public utilities and Environment; 12.Agriculture; 13.Industry; 14.Construction; 15.Transportation and postal; 16.Wholesale, Retail trade and Catering services; 17.Education, Technology and Culture; 18.Sports, Public Health and others; 19. General survey of city (State) and county (City). In the appendices listed: 1. Main indicators of National economy of three province in the Northeast Area( 2013); 2.The Companies “A Table”; 3. Expla natory notes for Main statistical indicators. IV. In year-book some data total numbers or relative number because of units choosen differential Causing generating calculation error, no mechanical adjust. V. The value indicators used in this book are at current price except notes have made and growth rate is calculated by constant price. VI. Explanatory notes for notations used in this book: “blank” indicated that the index data not available or no dale. “# “of which: major item.